The Obama administration has update the federal jobs website to include language prohibiting employment discrimination based on gender identity. The move makes gender identity one of the traits covered by the Equal Employment Opportunity Commission. 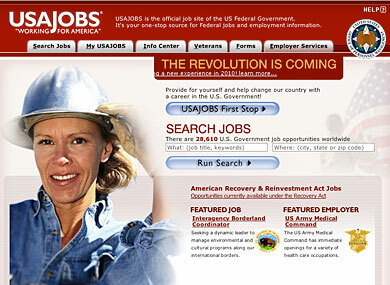 The policy change protects federal employees and applicants for federal jobs on USAJobs.gov. “The largest employer in the country is doing what all the other large employers in the country are doing, so that’s really great news," Mara Keisling, executive director of the National Center for Transgender Equality, told TheNew York Times. Christopher Anders, senior legislative counsel for the American Civil Liberties Union, called the change a "significant development. "The Obama administration is demonstrating a strong commitment to an effective workforce by making clear that the federal government will not discriminate against transgender employees." Federal legislation to protect LGBT workers across the country is currently pending in both the House and Senate. If passed, the Employee Non-Discrimination Act would protect all LGBT workers, as 38 states do not protect workers against discrimination on the basis of gender identity, and 29 states do not prohibit discrimination based on sexual orientation.